What's it like to get out of prison? you can’t have a dog that's part wolf. the formation of a corporation. "I'm usually an optimistic person, but I found this simulation soul destroying! I felt that I was being set up for failure, however hard I tried to follow the system. I still felt like a failure." "Helpless. Why bother to try?" 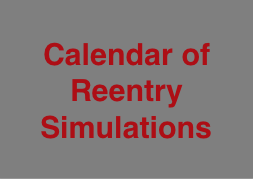 "My experience with the re-entry simulation for prisoners was an eye-opener. As I started my "pretend" process back into the real world, I became confused as to what I needed to do first. I was given quite a good start with a family and money , but it was still a very big challenge." "This event opened my mind and made me more respectful towards reentry." "Do this on every university campus." "It seems as if one is destined for failure when released from prison & that's such a shame. after two failures, wound up in jail." Before I went to jail, they did a body search. It was similar to how it would be done in a real prison. Without giving the details of this search, let me say that it was humiliating!"